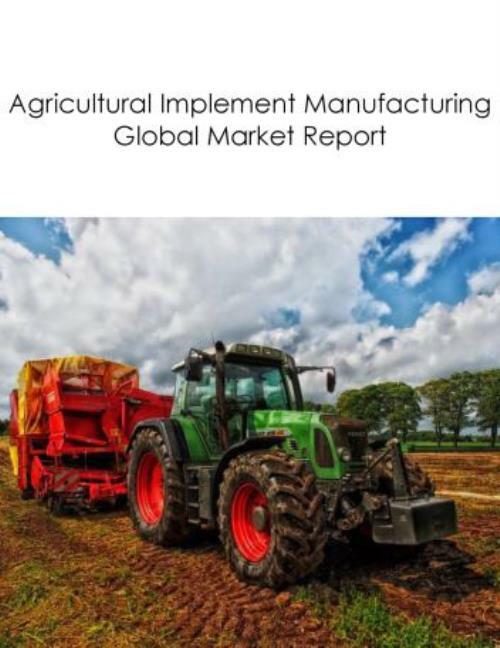 Agricultural Implement Manufacturing Market Global Report 2019 provides the strategists, marketers and senior management with the critical information they need to assess the global agricultural implement manufacturing market. Where is the largest and fastest growing market for the agricultural implement manufacturing? How does the market relate to the overall economy, demography and other similar markets? What forces will shape the market going forward? The Agricultural Implement Manufacturing market global report answers all these questions and many more. The report covers market characteristics, size and growth, segmentation, regional and country breakdowns, competitive landscape, market shares, trends and strategies for this market. It traces the market’s historic and forecast market growth by geography. It places the market within the context of the wider agriculture, construction, and mining machinery manufacturing market, and compares it with other markets. The agricultural implement manufacturing market section of the report gives context. It compares the agricultural implement manufacturing market with other segments of the agriculture, construction, and mining machinery manufacturing market by size and growth, historic and forecast. It analyses GDP proportion, expenditure per capita, agricultural implement manufacturing indicators comparison. Data: Ratios of market size and growth to related markets, GDP proportions, expenditure per capita, agricultural implement manufacturing indicators comparison. Farm machinery manufacturers are offering driverless tractors and robots to individual farmers and corporate farming companies. Driverless tractors and robots automate the weeding and harvesting process. They use GPS and sensors and can be controlled using a tablet or a smart phone. These technologies are known to considerably increase farm output and decrease labor costs. For instance, according to a report by Goldman Sachs, automated tractors can raise farmer revenue by more than 10% and reduce farm labor costs. Companies offering driverless tractor and robot technologies include CNH Industrial, Deere, and AGCO.